"This is our Wednesday fun," said Mary Ella Kuster, volunteering with Mike Keating by staining railings...John Gray was born 92 years ago and grew up poor in rural Oregon. 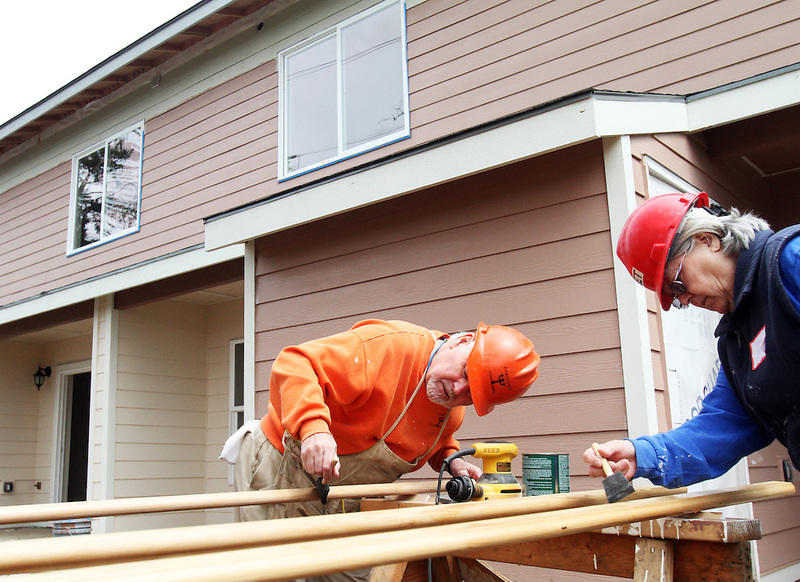 He made a fortune in the chainsaw industry after World War II, and now he has donated more than a million dollars to Habitat for Humanity to buy land in Portland for low-income housing. Volunteers work to build solid foundations on the largest of these land parcels on Wednesday, May 2, 2012.